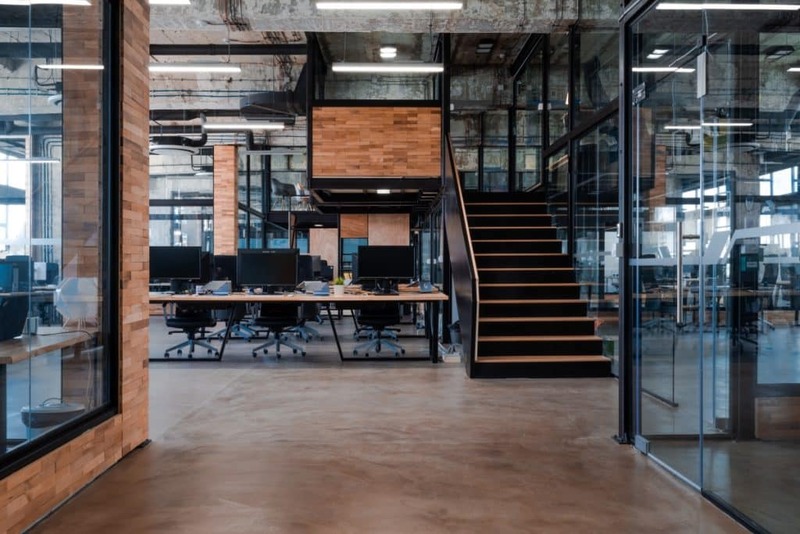 The entire culture of work has begin to change in the last decade, sped up by the arrival of mobile, faster internet connections and a more flexible attitude from employers. 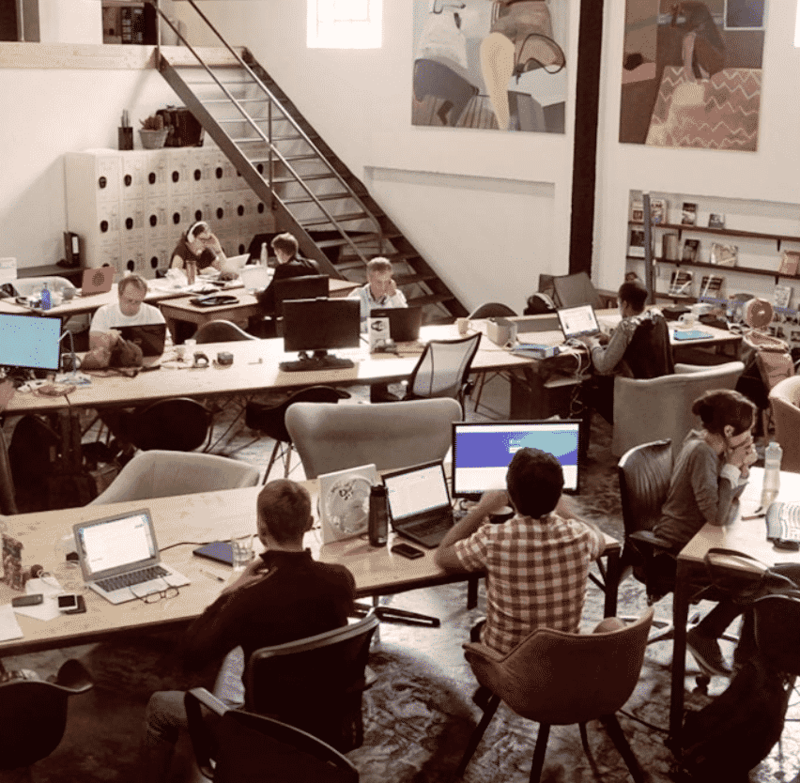 Throw in the huge level of migration to major cities by young people – with the additional demand leading to increased rents – and coworking quickly become a great way for companies to scale up and accelerate growth. 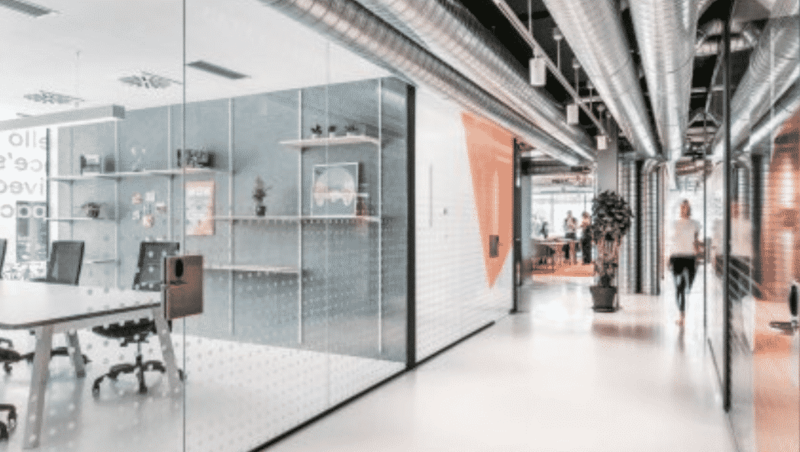 42workspace is Rotterdam’s only curated community for tech and digital entrepreneurs, located in the beating heart of the city. 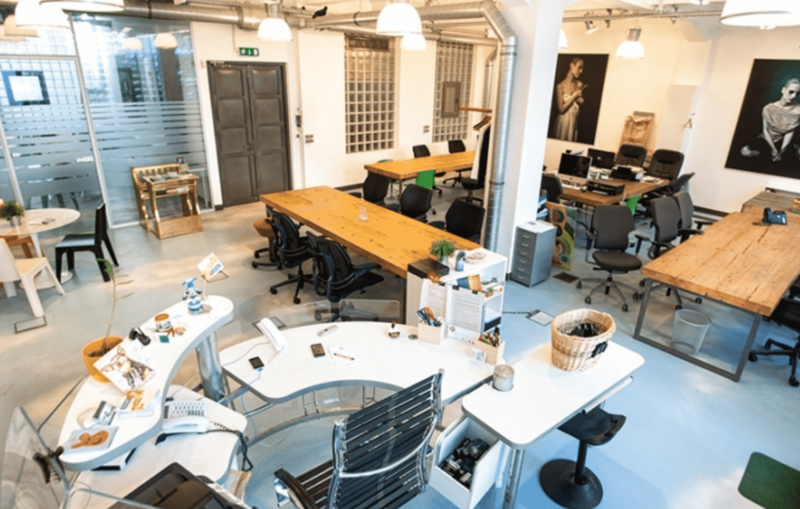 They offer a mixture of hot desks, shared offices or your own offices depending on how you are scaling up. Right in the heart of the business district and close to all the action in Luxembourg. They have seven rooms, which you can rent out, as well as a range of seating options in their huge open space rooms. The place has a real buzz about it. 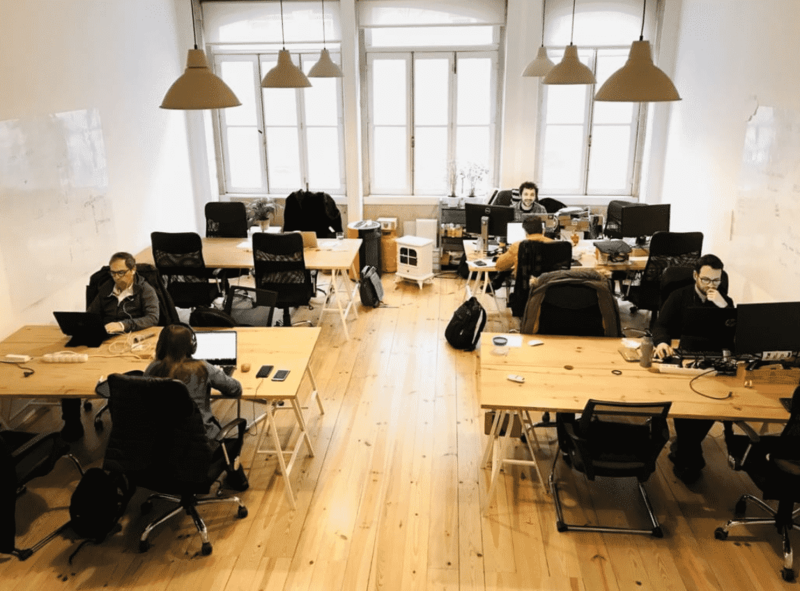 Puzl is an IT-only coworking space uniting the key players in the IT industry (startups, investors, service providers, freelancers) in an efficient and supportive community. Enjoy blazingly fast Internet and games rooms. Where else would you find a tequila bar in the ladies toilets and an on-site recording studio? The Ministry was opened by the Ministry of Sound and is geared towards those in the music and media industries. Business support, access to the private members club and incredibly cool surroundings are what you’ll find here. 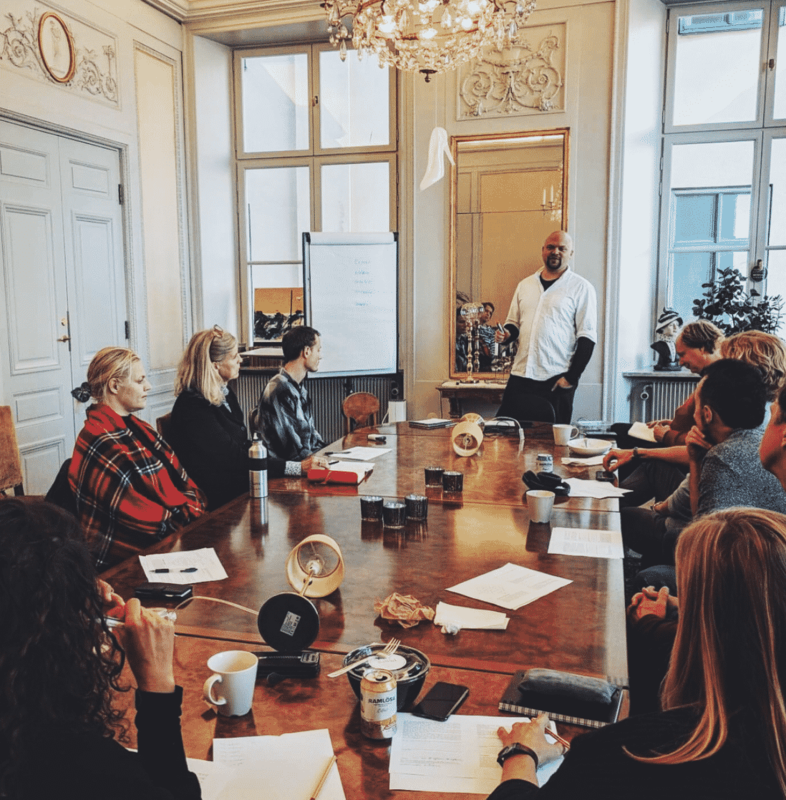 Around since 2005, Rebublikken’s coworking space consists of two open office areas with shared and fixed desks, as well as private offices, a drop-in work café, a laser cutter workshop and meeting rooms in the centre of Copenhagen. Super flexible. At jungle.space you’ll find an open space office and a rooftop lounge with sea view. Basically, it’s the coworking dream. Members also get free access to all activities like sunset yoga, running club and their informative workshops. 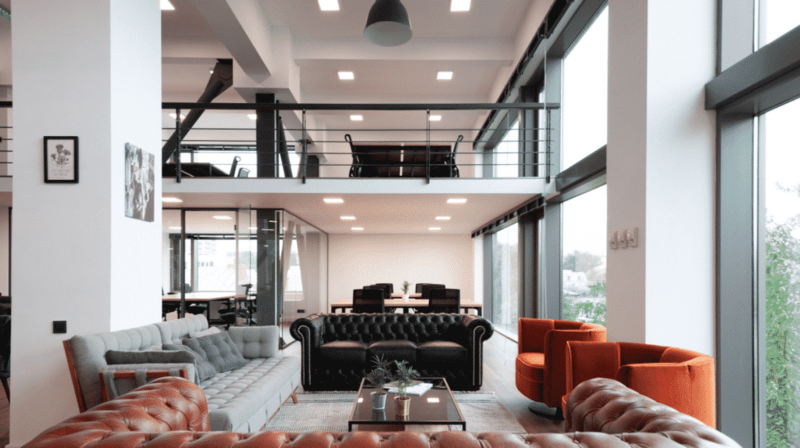 Considered one of the most stylish and organised coworking spaces in Athens, this managed office allows you to pick and choose exactly what package you want. Plus, you get free use of their bicycles. Handy. 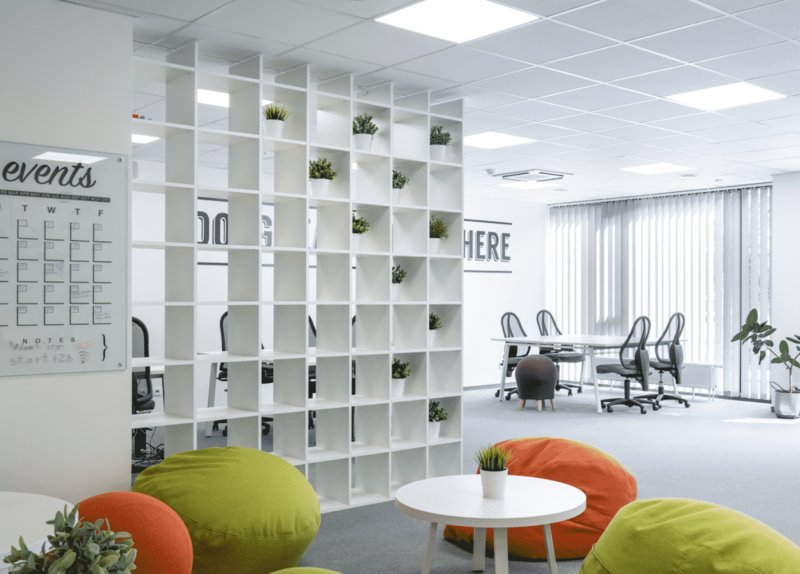 Spring Hub is the biggest and best coworking space in Estonia. They also offer free 1-1 consulting services for Spring Hub members by their partners in law, digital marketing, design, innovation, communication, finance and fundraising fields. 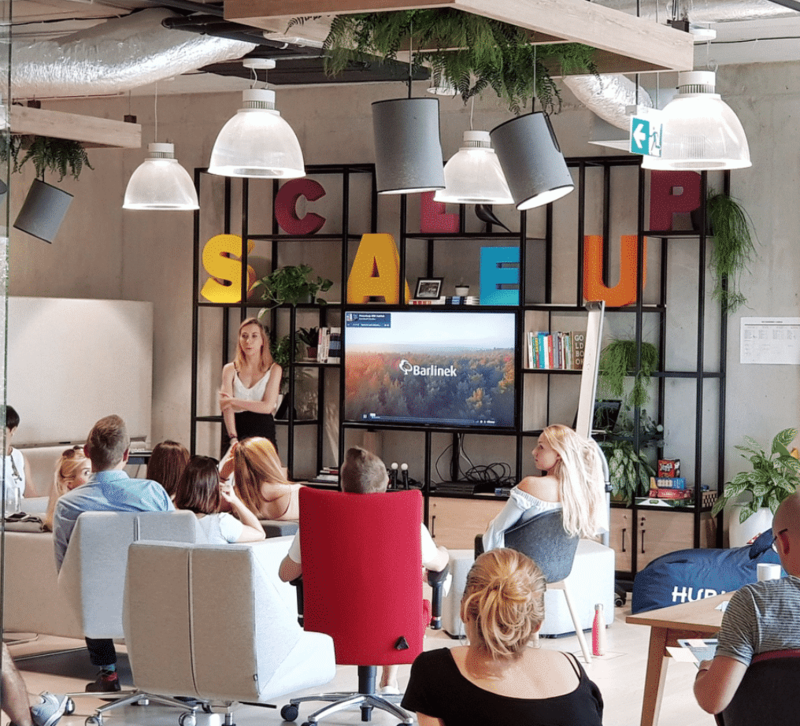 Impact Hub brings together a wide range of “value-based organisations”, from social enterprises to foundations, freelancers, designers to startups. Every member gets one hour of mentoring a month. Check out the 7 Most Instagrammable Spots in Zagreb. With the option of flexible memberships or a fixed desk space, Stockwerk has it all – seriously fast Wi-Fi and a diverse coworking community. 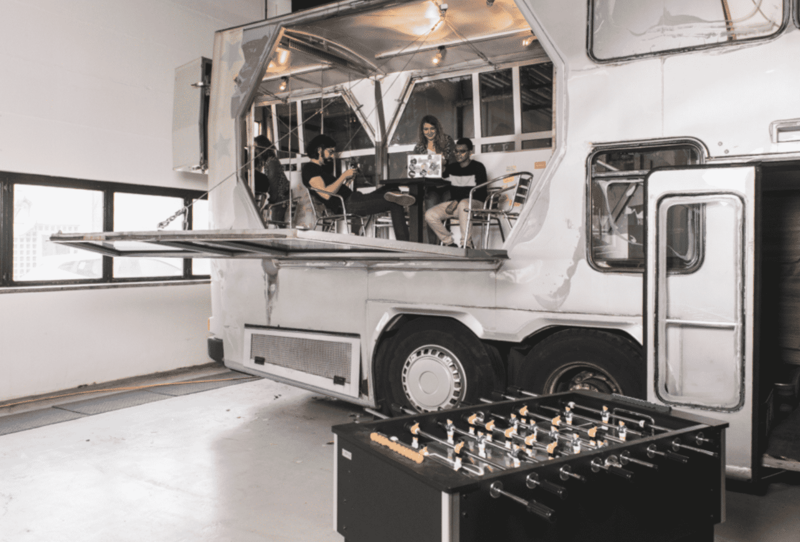 There’s a nice coffee bar onsite and you can chill out with a game of table tennis or two. Loffice offer flexible and friendly coworking memberships in five locations across the city, so you’re sure to find your ideal space. They do pay-per-use desks, are open 24/7 and have an extensive partner network for start ups. 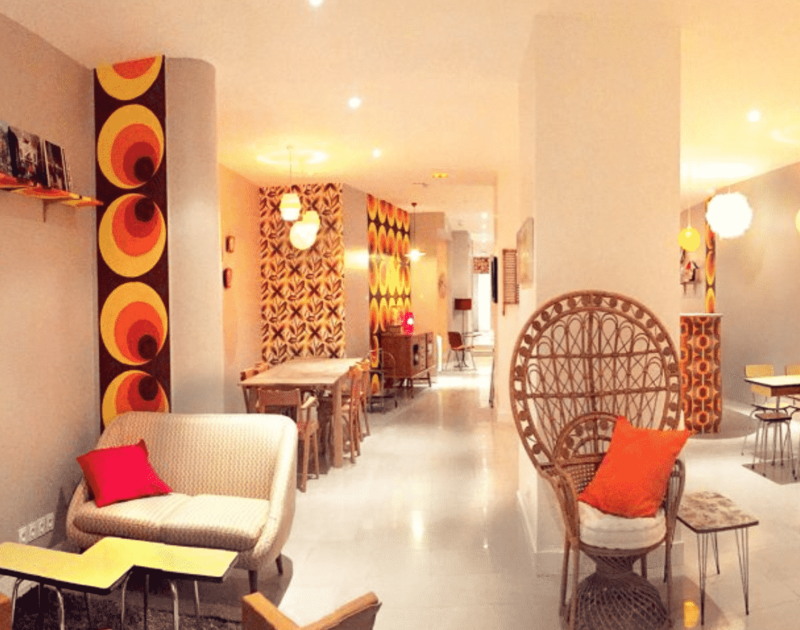 Le 10h10 are coworking spaces where you can come much as you want, whenever you want, with whom you want. 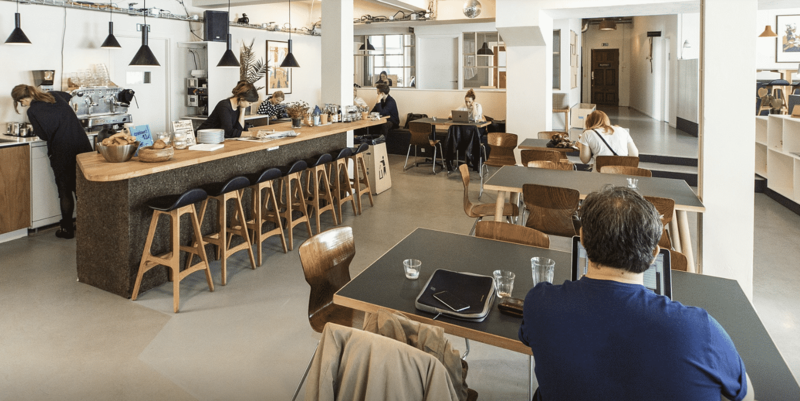 With two locations in the city, think of it is a super productive cafe. 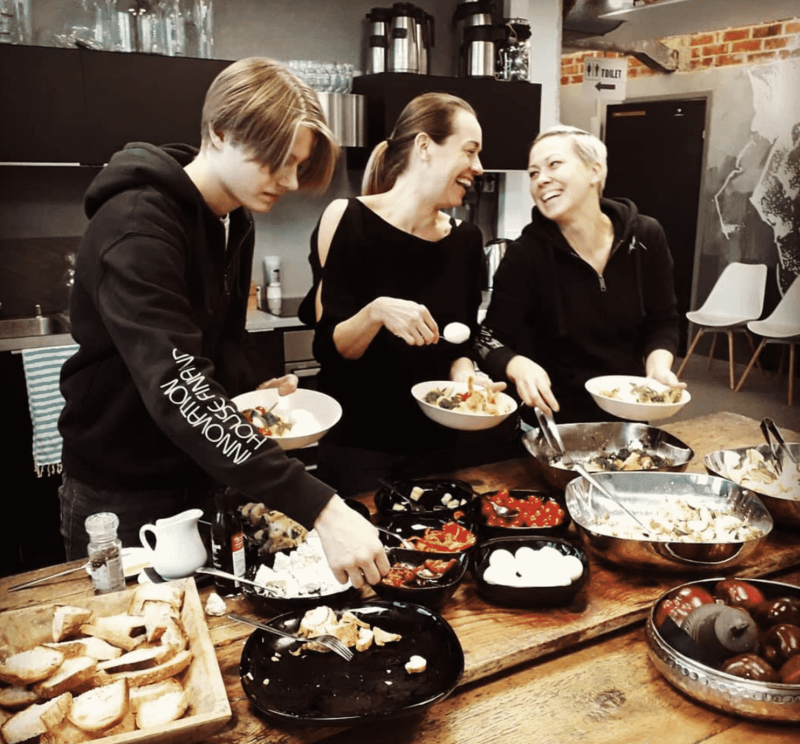 More of a “family” community than a strictly coworking space, you’ll get a hug if you need one here as well as finding expert advice on your company. Coworking memberships come in lots of different options, with some including a business coach. 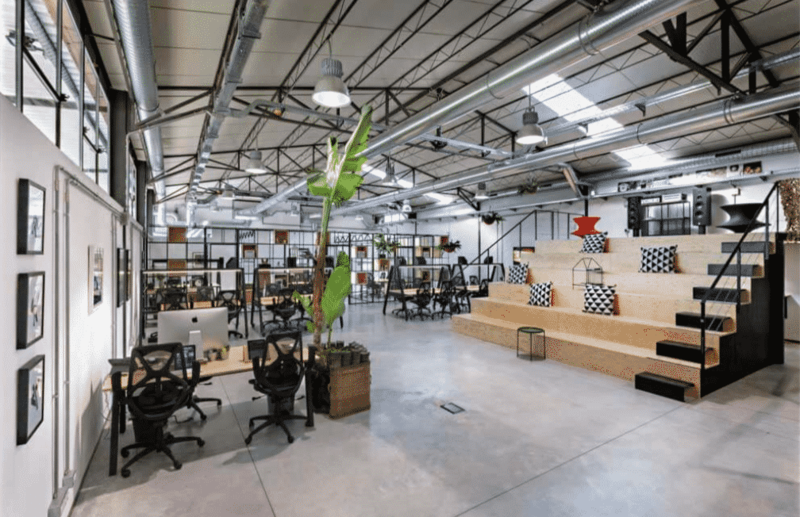 This bright and airy 4,500 sqm coworking space is a great space to get work done and you can rent desks flexibly by the day for €15. 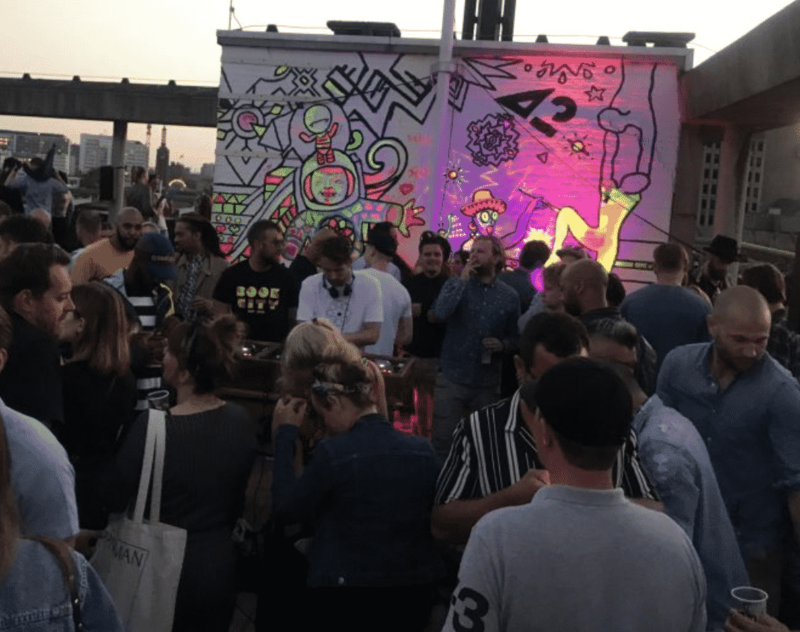 You’ll get connected to possible collaborators and investors via Tech Berlin sister companies Openers and Tech Open Air. Ahoy also has additional services like event management and legal advice. 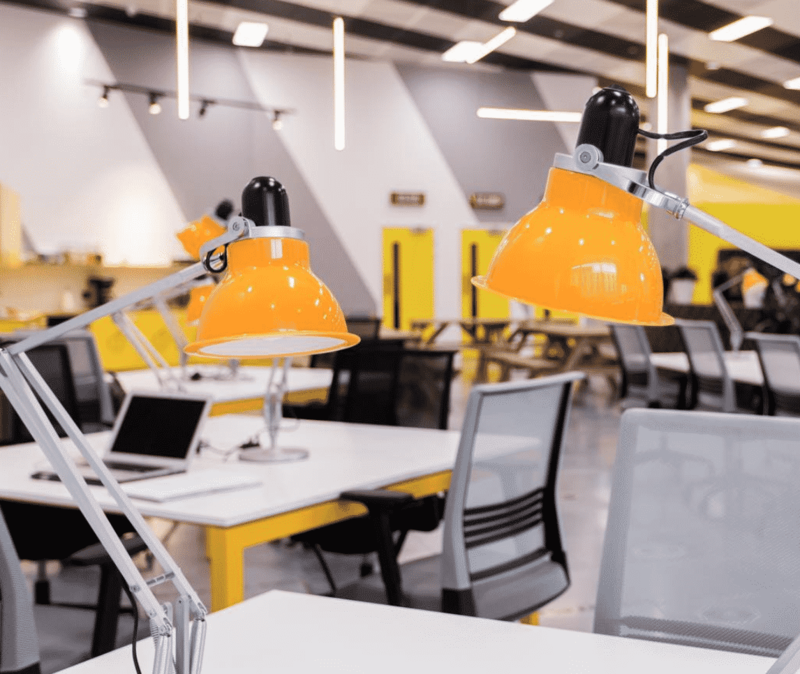 Whether you’re a one person team or a fast-growing 20+ person company, CIC is an innovative coworking space that will provide your business with all the help it needs to grow. 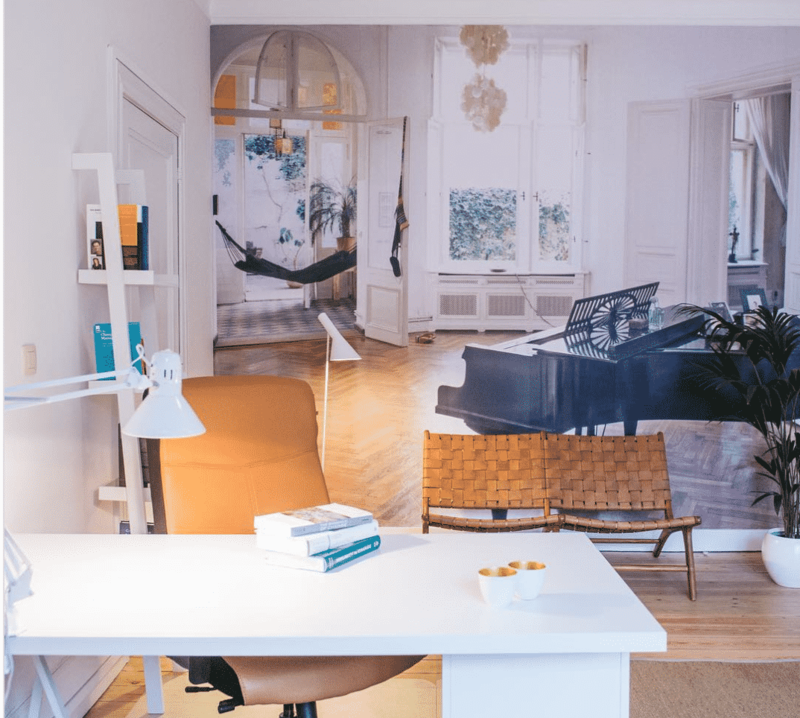 The office is bright and funky, and it’s in an ideal location. The HubHub Warsaw is located in an A-Class building in the heart of the second largest business district of the city. Their networking events foster chemistry between the very best potential partners, collaborators, VCs and investors, and they pride themselves on their support. As well as standard amenities like free coffee, fruits, drinking water, wifi and so on, members also have access to the other Porto i/o coworking spaces, allowing you to switch and book meetings in different locations. Plus, it’s dog friendly! Check out the 50 Best Burgers In Europe. 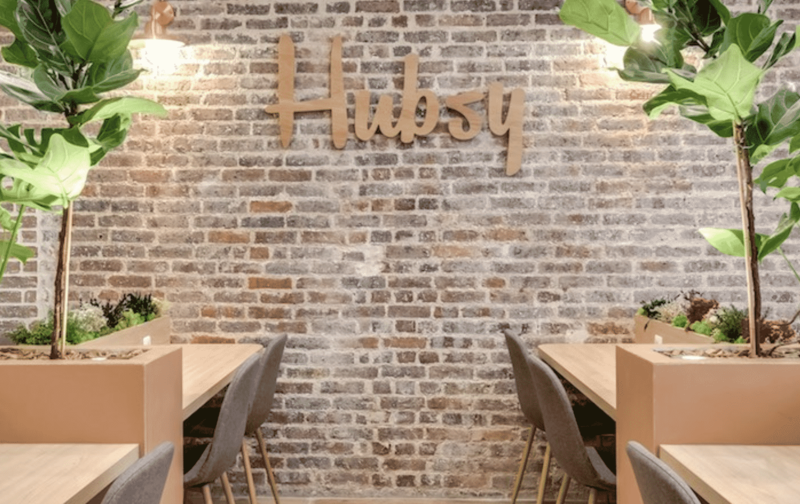 Hubsy is right beside the iconic Canal Saint Martin, in a former authentic grocery shop that has been completely revamped for coworking as an English-style cafe. You only pay for the hours you are there, but long term workers can get Hubsy Nomad discount card. The Distillery is a dedicated coworking space for freelancers, start-ups and creatives, and there’s a thriving network of artists, designers and photographers. 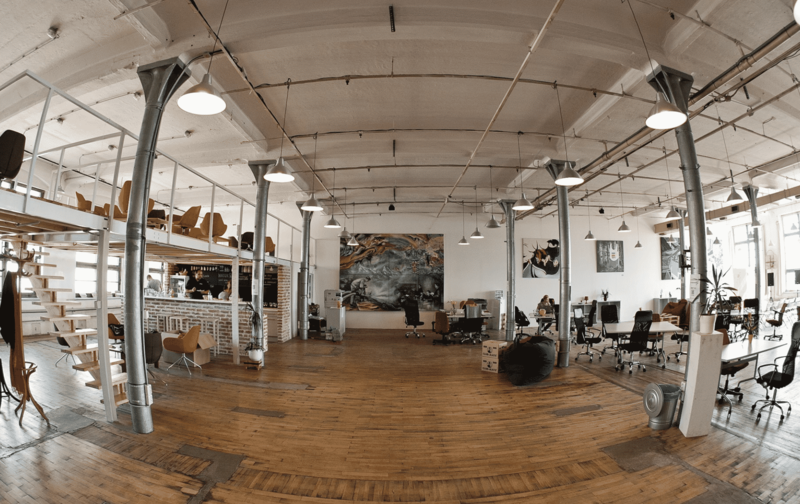 The office space is large and loft-like, and very slickly designed. 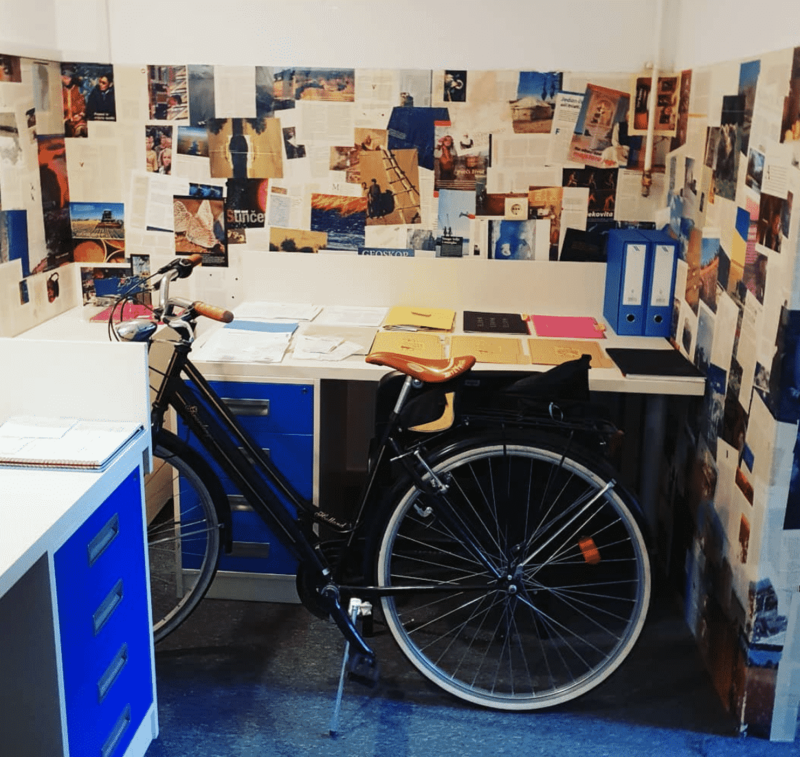 SOHO Office provides flexible office solutions, such as short term leases and a range of plans, including virtual offices, hot desking or even private office space. The community is social and always willing to lend a hand to any idea. 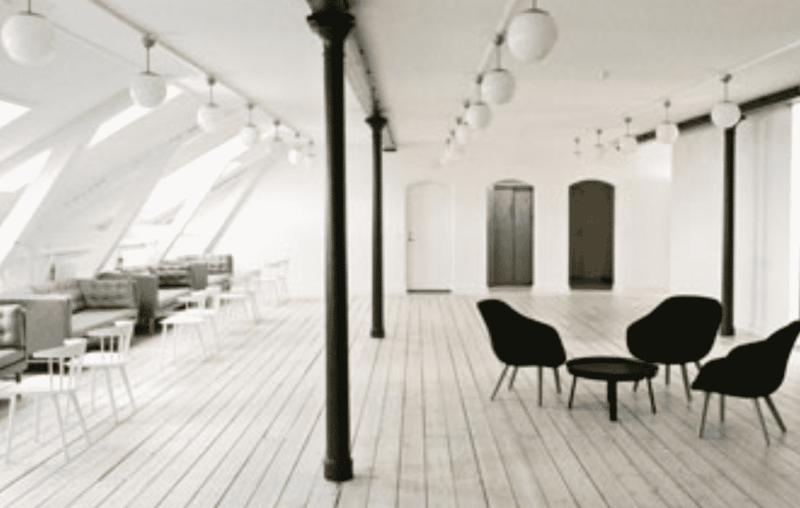 Teikums is a stylish space geared towards freelancers, established small-team businesses and digital nomads. 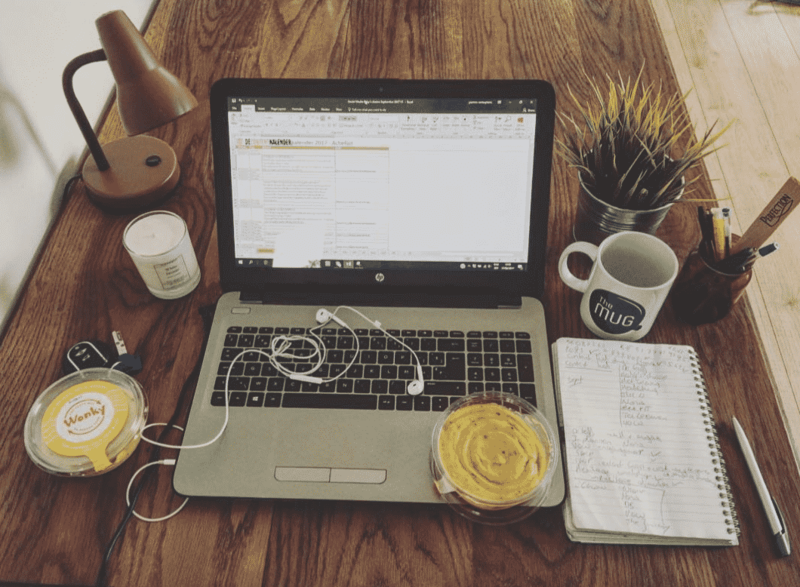 Cosy desk hubs are great for team brainstorming and there’s plenty of space. You can rent desks by the day, week or month. You’ll find this spot in a typical Brussels house, in the heart of the European quarter. The price is €25 for a day pass with increased value for staying longer periods of time. It’s an absolutely ideal place to get work done. 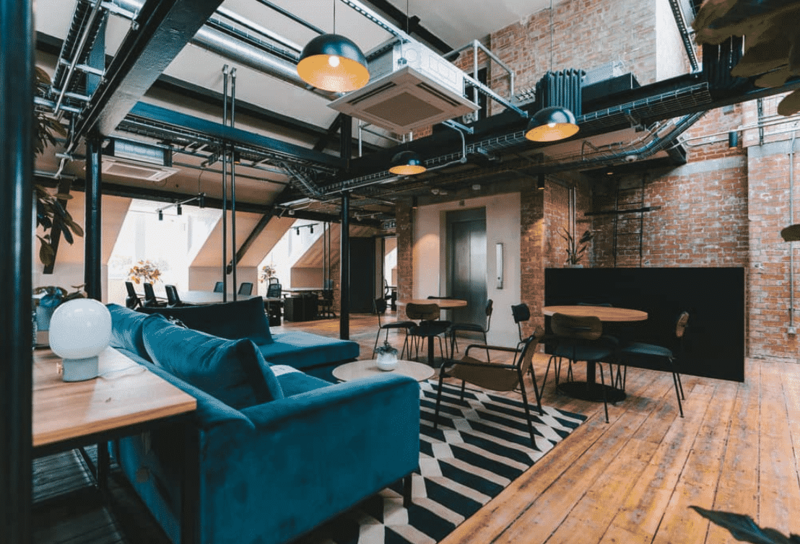 Commons is made for millennials – their wifi is the highest speed, the meeting rooms are fully equipped and their South American coffee beans are hand roasted right round the corner. As well as educational workshops, there’s always great social events. 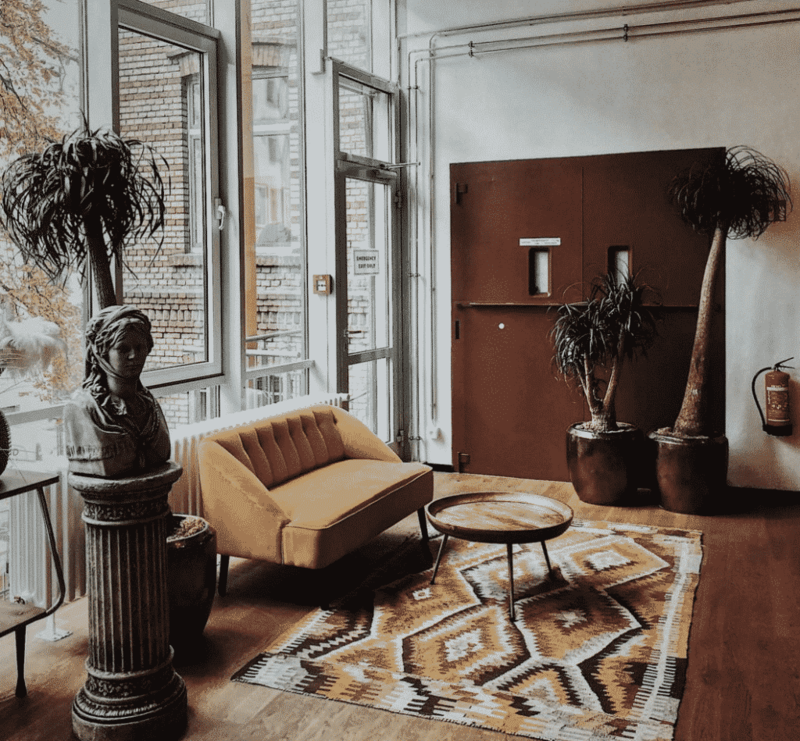 This is the best Amsterdam coworking spot for the creatively minded, as you’ll find a mixture of writers, web developers and branding folk here. They run plenty of creative collaboration sessions too. Connect is located in old industrial building and is a beautiful place to get sh*t done. A motivated community will inspire you and you’ll benefit from their serviced office and mentorship. 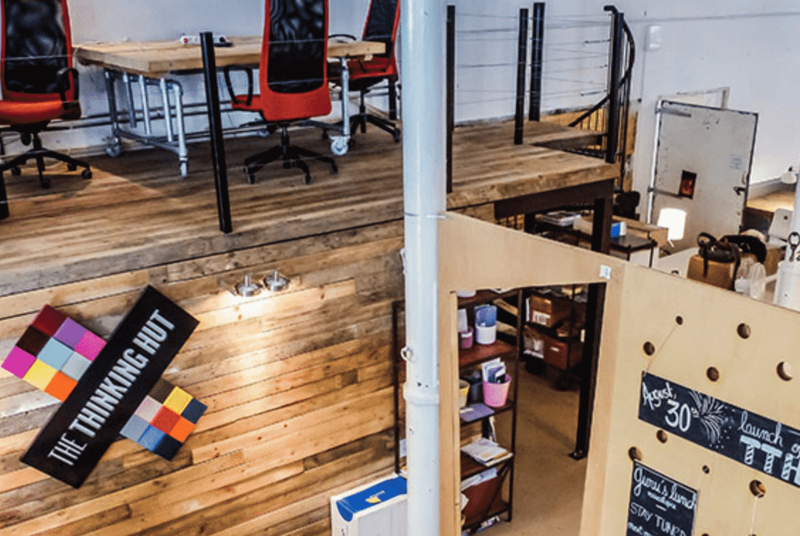 So much more than an office, Motion Lab has both coworking and Makerspace facilities. 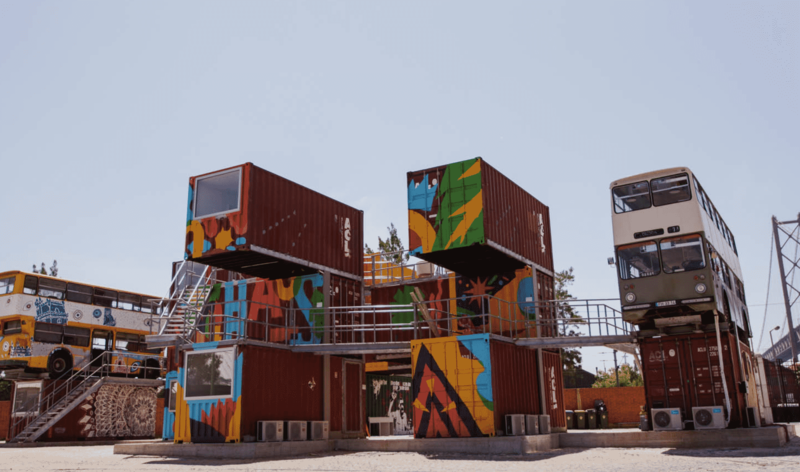 It offers offices, Maker-garages, a cosy coworking area and a wide variety of machines including a 3d-Printer, CNC-millinmachine and Lasercutters. Ideal for creatives. It’s all about creativity here -a deal-bell is used when members strike a good deal which brings everyone together to celebrate, and there’s a bed to rest in. Innovation House also has a slick Sales Innovation showroom for their members and offers ‘match making’ for startups and corporations. 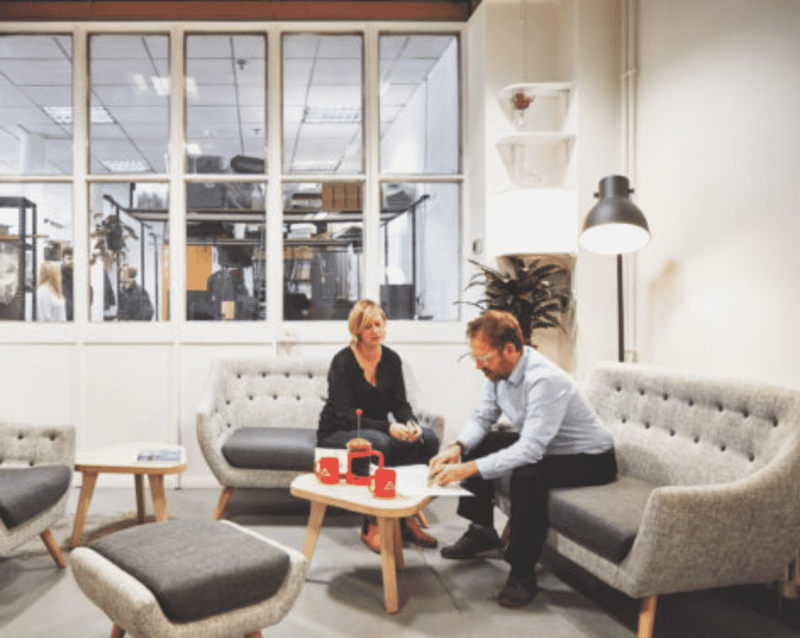 Work’inn is co-working space for those who feel uncomfortable to work at home and need an inspiring environment, yet still want those home comforts. There’s a chill-out room, free drinks and friendly faces. Mindspace has outposts worldwide, with three in Berlin. 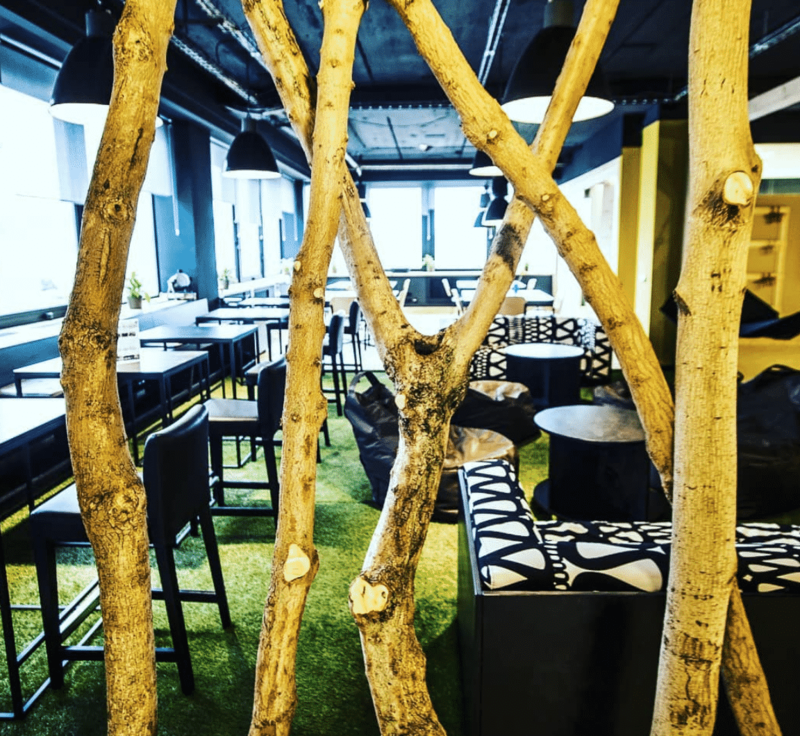 Their classy design is a direct contrast to some of the edgier coworking spaces in the city, so this is ideal if you like things a little glam. 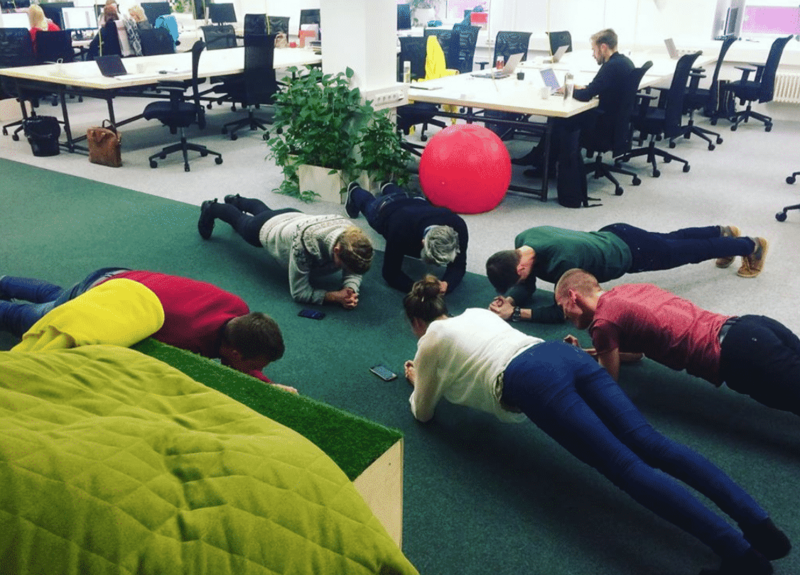 Memberships start from €50; desks from €250. 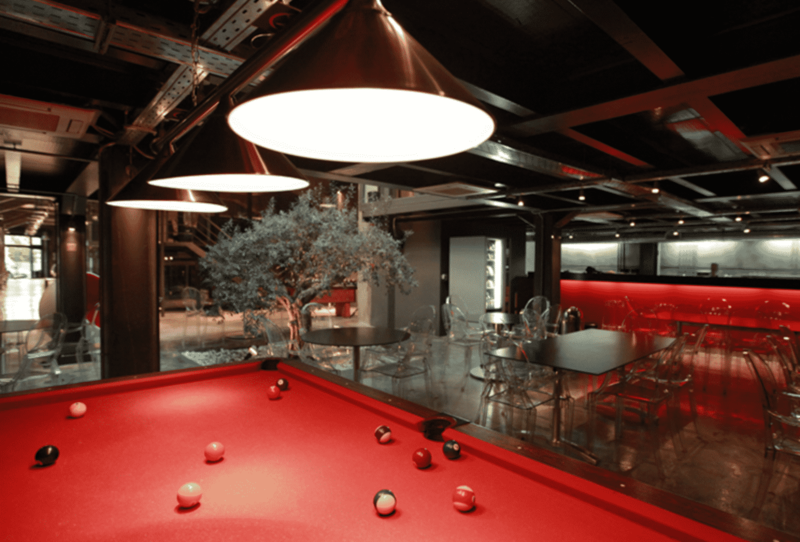 ALA/34 is a funky coworking and business accelerator for emerging startups and innovative PMI in the heart of Rome. As well as promoting the sharing of experiences and entrepreneurial projects, they also have a shared drone and green screen equipment. 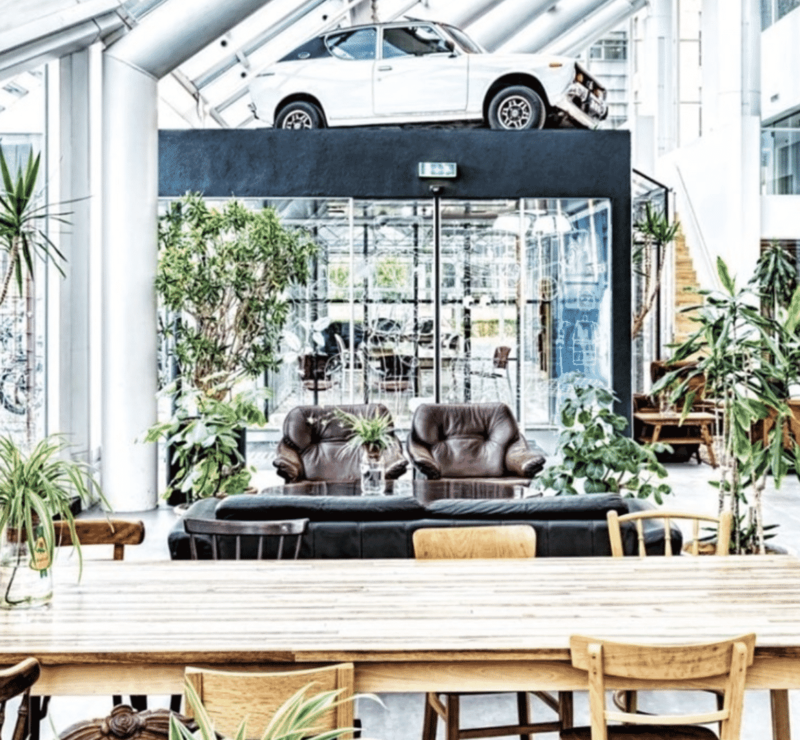 Rainmaking Loft is the largest Nordic hub for tech startups, with a cool barista cafe and tasty lunch options available on site. They also put on regular events where entrepreneurs come together with angels and VCs at pitch battles. This innovative coworking space in The Student Hotel offers flexi-desk space, dedicated offices and mini classrooms as well as access to an Olympic-size lap pool (SwimGym). Did we mention there’s also a world-class gym, an auditorium, restaurant, constant connectivity, endless inspiration and excellent coffee? 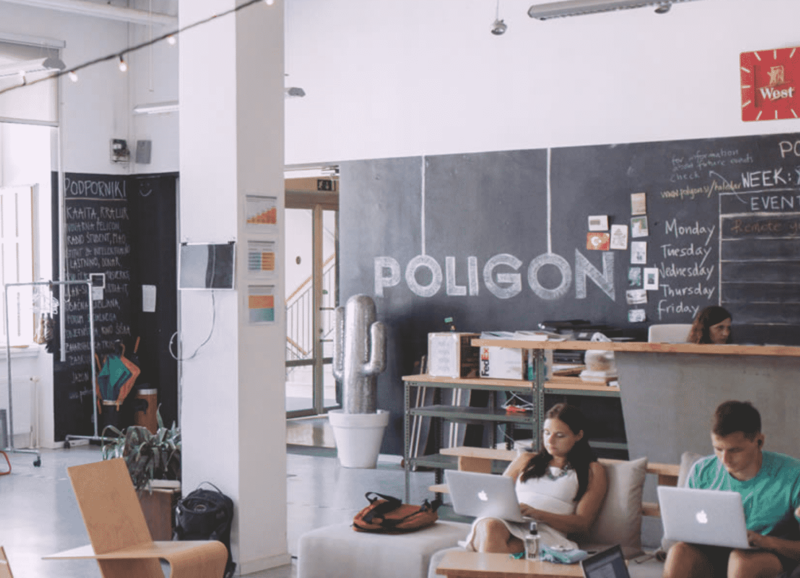 Poligon Creative Centre is a Ljubljana based co-working space that’s home to several intertwined creative communities. 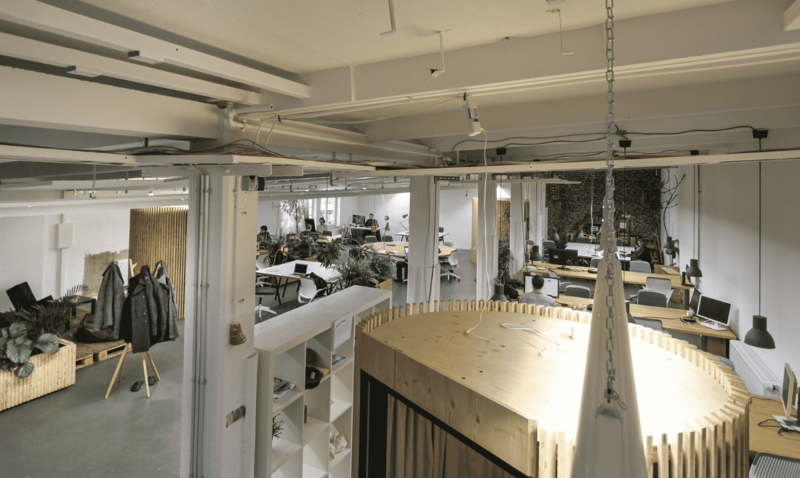 Alongside the offices, there’s a creative product development lab, a bar for hanging out, a store with selected designer goods, a library and large event space. The Castle is all about a work-life balance. They offer memberships for everyone: you can grab a fixed desk, a flexible desk full time, a flexible desk 2 days per week, a low-income full time membership or a low-income 2 days weekly desk. The community here is very creative, and as a result the calendar rarely lacks interesting new events at MOB. Members also get 30 minutes of free legal services a month from the in-house legal team, which is a nice bonus. 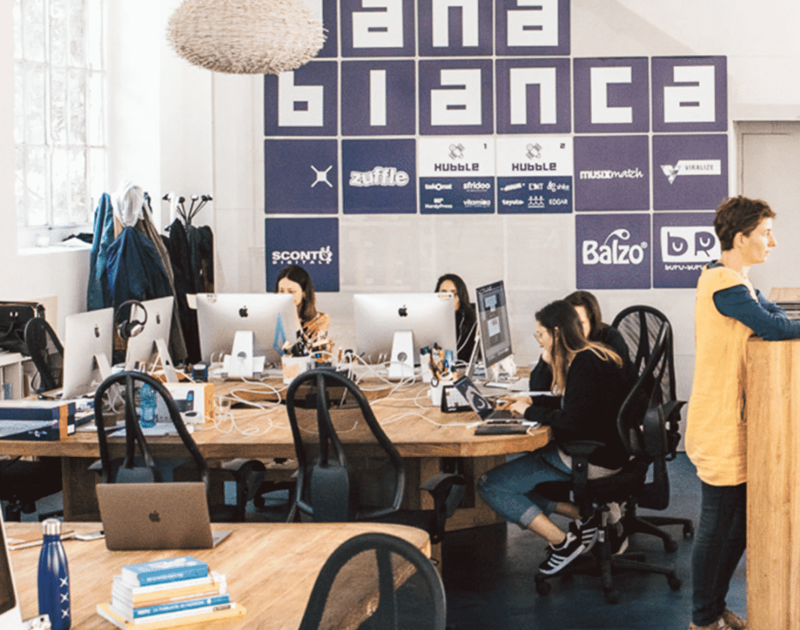 Nana Bianca is a startup studio and coworking space located in the centre of Florence. People that use the space are super approachable and generally speak both Italian and English, so it’s a great option for digital nomads. 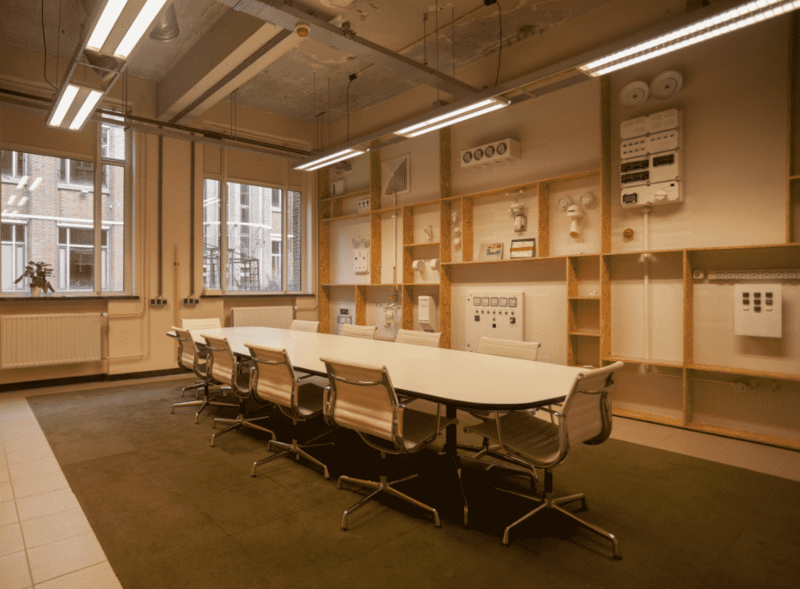 The perfect space for creatives, Makerversity have a range of workshop facilities, spaces and equipment. You’ll have access to manual workshops, textile studios, photography studios, digital workshops and way more. A massive 5000 m2 space which has 40 lab spaces and can house up to 300 people at any one time. 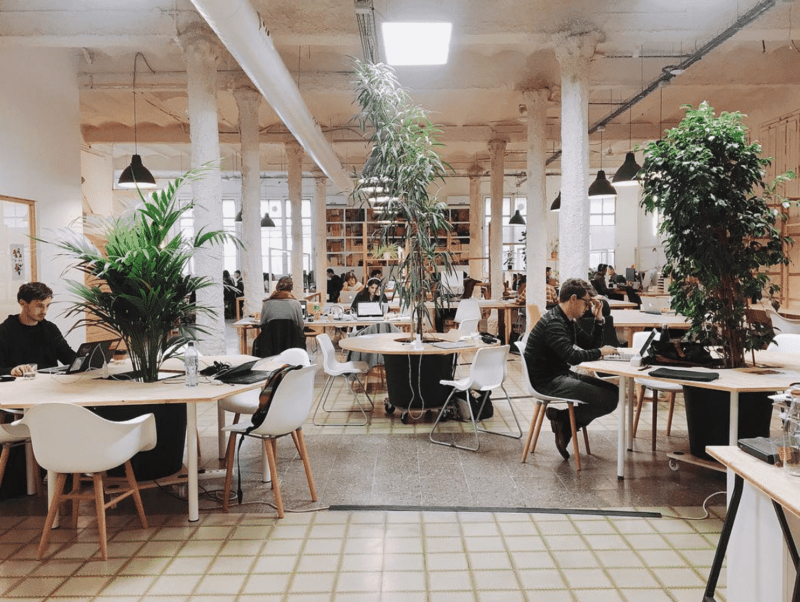 The must-try place on the list if you company is starting to prosper and you want that little bit of privacy yet still want the coworking vibes. Its gorgeous design? Just another big bonus. 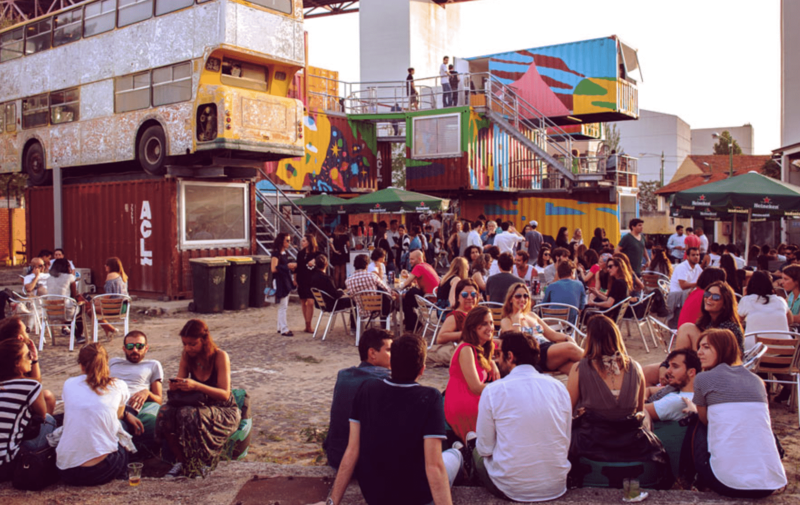 Village Underground’s unique architectural structure is made from shipping containers and double decker buses, recycled into office spaces, a restaurant and conference room. Jam packed with a cool and creative community, there’s a great vibe here. Located near the Botanical Gardens, ATWORK is a charming space to get the head down and do some work. 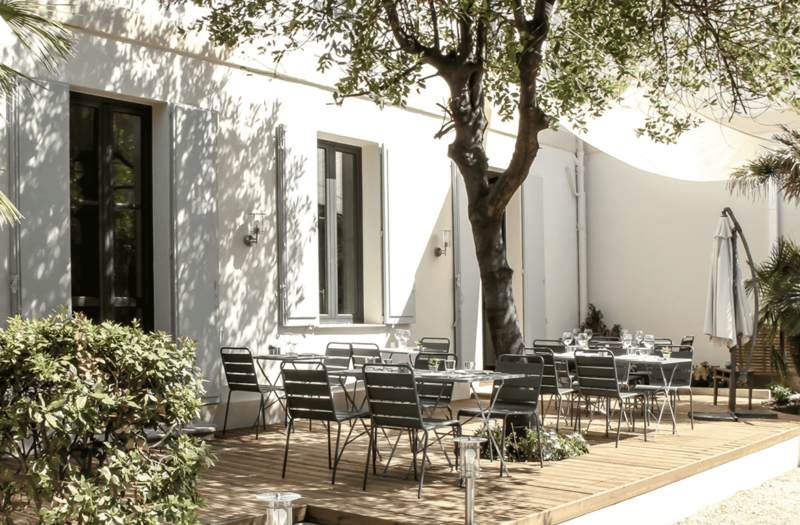 As well as private work rooms, meeting rooms, and coworking spaces, there’s also a lovely tearoom and outdoor areas. 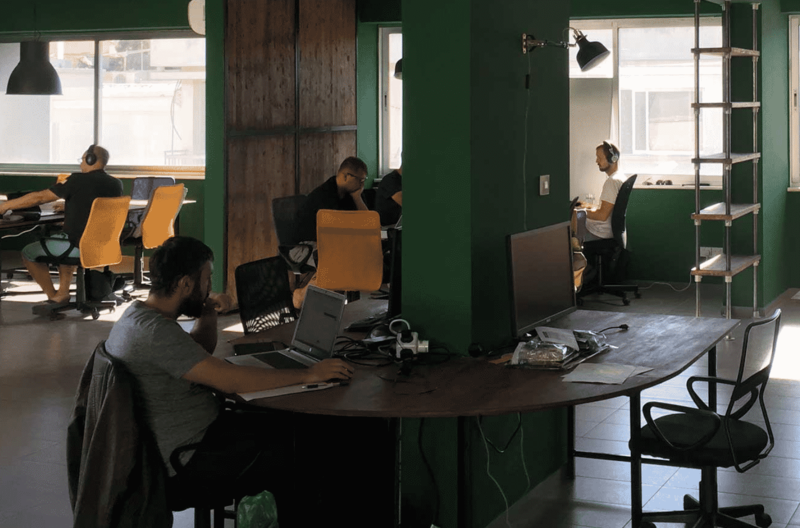 WERK1 serves an incubator for digital entrepreneurships. It provides facilities and an environment that support founders and innovators to grow and succeed with their ideas. Residents benefit from valuable events, free of charge workshops and flexible contracts. The Brain Embasy is a modern and large coworking space, perfect for freelancers, starting entrepreneurs or independent professionals. With 250 coworking spaces, you’re sure to find inspiration here. 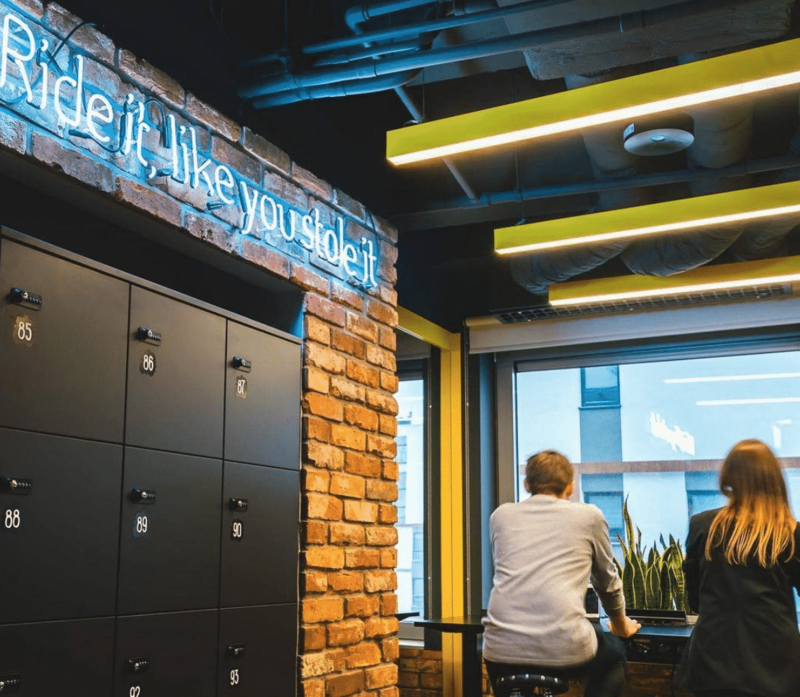 Iconic Office have several locations around the Irish capital – which is fast becoming a tech hub, with giants like Facebook and Google basing themselves in Dublin. 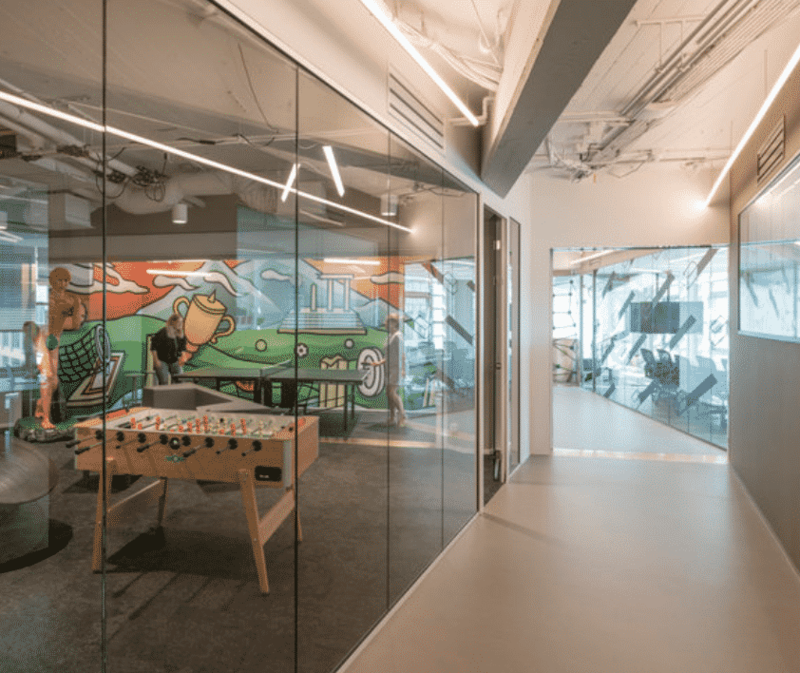 The offices have a big focus on design and making sure there is plenty of community activity. 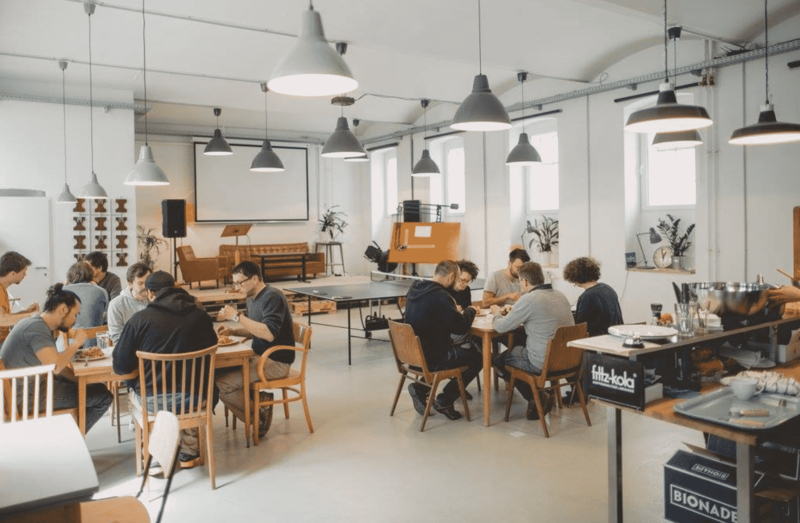 Betahaus has plenty of perks, including access to software throughout the group at discounted prices and a very tech focused and engaged community. 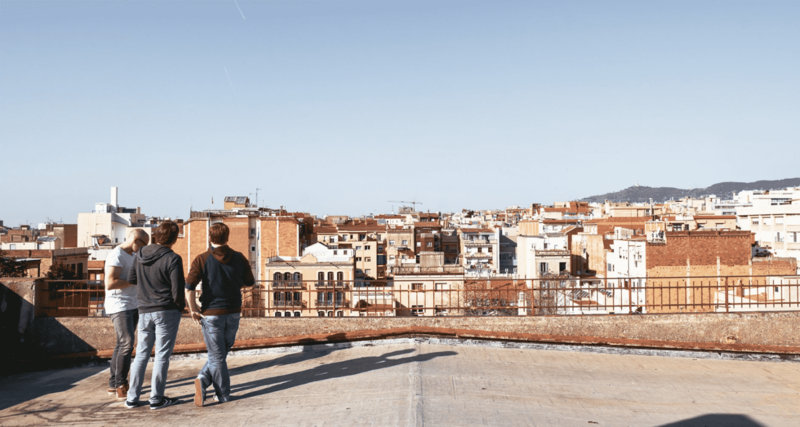 The rooftop overlooking Barcelona is a main selling point though. 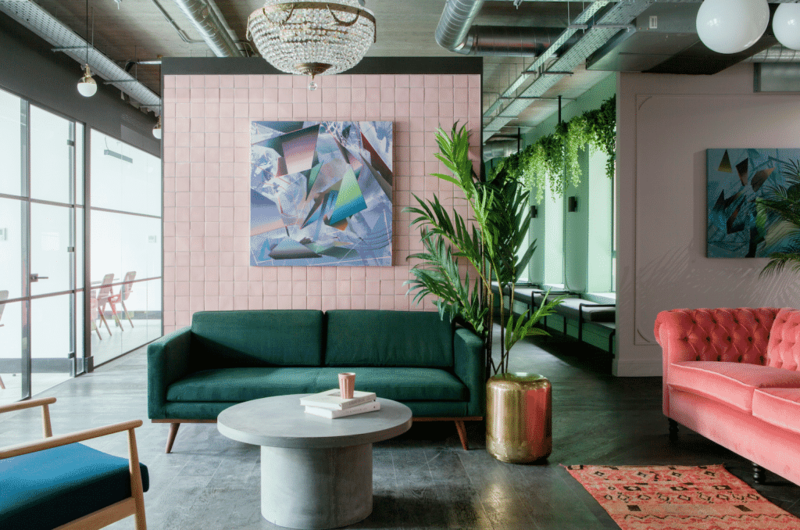 With three sites across London – in Clerkenwell, Shoreditch and White City, Huckletree is a stellar place to network. Fun workshops and interesting talks will keep you on your toes. They also have a fantastic three month accelerator programme: The Alpha Programme for tech and digital lifestyle startups. 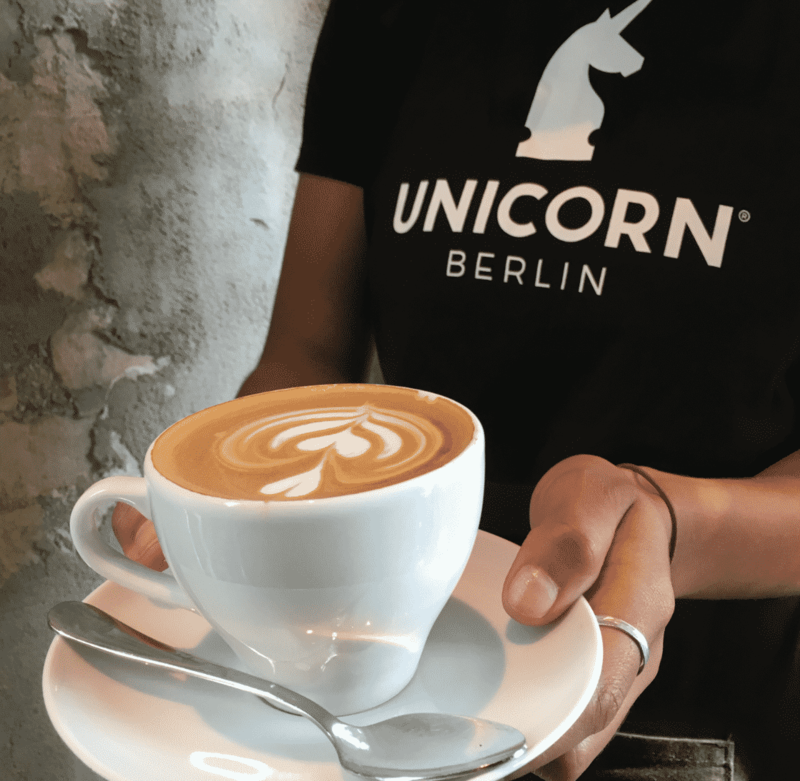 A high-end coworking space/cafe, Unicorn is a lovely spot that has its own healthy cafe in its Mitte location (there’s several locations in Berlin). You can enjoy special events including yoga, language exchanges and meetups. Plus, it’s pet friendly. Half day passes are available for just €10. 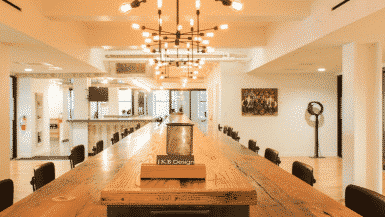 With locations all over the world, WeWork defines the very essence of what coworking is. Several locations around the capital offer members a flexi working solution. Big focus on their community, an app and creating a work / life balance too. An amazing place with 40.000 square meters and three buildings that’s now the biggest start up eco-system in Europe. They have their own restaurant, start up school and every type of coworking solution you could ever want. Great to see indigenous Dublin based Iconic Offices featured. 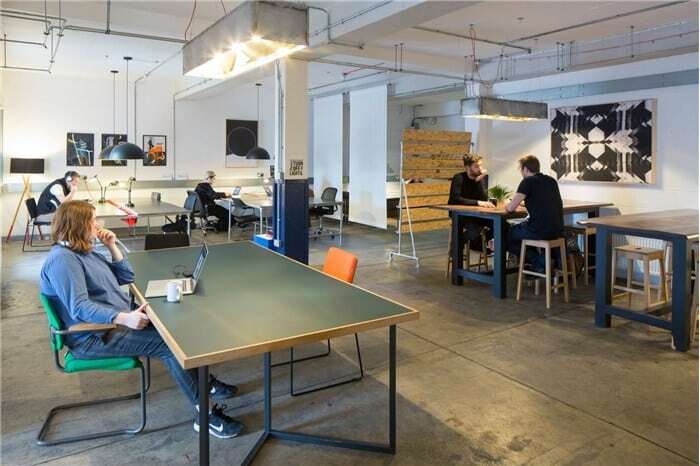 They are definitely the ‘go-to’ coworking & flexible workspace providers in Dublin City. With over 14 unique, design-led locations there is a location to suit everyone. We would love to be reviewed for this list with our coworking space ‘Freedomlab Campus’ in Amsterdam. We’re also recommended by WIRED! 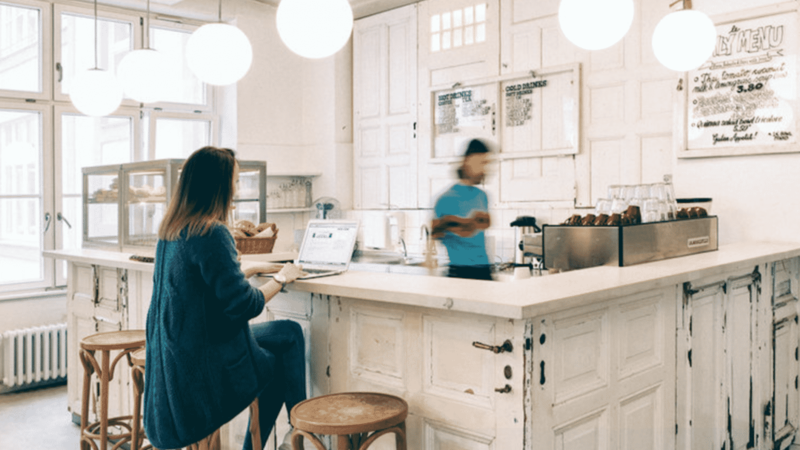 How could you miss Coworking Bansko in this list? True, Brain Embassy in Warsaw is the best place in the city! Professional, good service, friendly, vibrant and intimate at the same time, spoiling and beautiful design. Hey, check out the “MietWerk” in Potsdam just outside Berlin, Germany. 2 locations, 5 meeting rooms, 3 roof terraces with beautiful view over Potsdam and always centrally located! 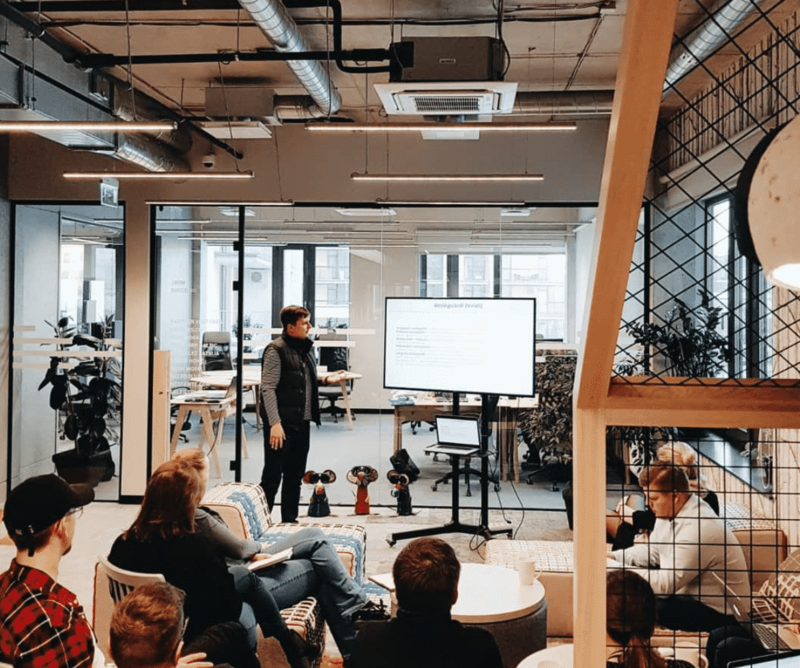 O4 coworking in Gdansk is the best place! Really!